Alcohol and drugs historians have long lamented the archival limitations of studying past substance users. Substance users typically enter the historical record through retrospective oral histories, the archives of hospitals or prisons, or popular books and media. All these sources have shortcomings: oral histories are riddled with the errors of human memory, institutional archives are usually limited to clinical and criminal records, and popular culture is distorted by sensationalism or artistry. As Bob Beach, Miriam Kingsberg, and Joe Gabriel have argued on Points’ pages, finding the “user’s perspective” is historically difficult. I’d like to introduce researchers to another point of access to the past: Robert Straus’s Escape from Custody: A Study of Alcoholism as Reflected in the Life Record of a Homeless Man (Harper & Row, 1974), a classic text that offers a uniquely detailed portrait of one man’s chronic alcohol use in mid-twentieth century America. Straus (b. 1923) is a pioneer in both medical sociology and alcoholism research. 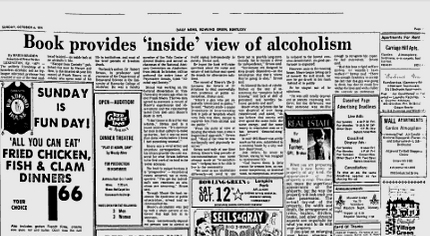 He earned his PhD in sociology at Yale, where he was affiliated with the storied Center for Alcohol Studies. In 1956, he came to Lexington to help establish the University of Kentucky’s medical center. In 1959, Straus founded the nation’s first standalone department of Behavioral Science (where—full disclosure—I now teach). 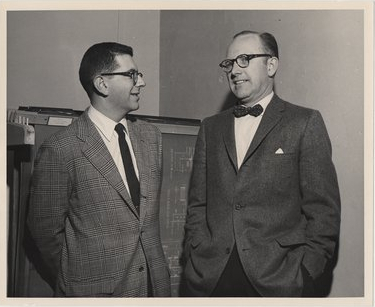 Straus started graduate school with an interest in the history and sociology of health care; in 1945, a research position with sociologist Selden Bacon introduced him to the dynamic inter-discipline of mid-century alcohol studies. Because the alcohol-dependent individuals enrolled in the Yale Center’s research projects tended to be middle-class and in treatment, Bacon asked Straus to investigate alcohol use among homeless men. Straus interviewed 203 men at the Salvation Army over the course of a year; one research subject, Frank Moore, became a friend. They began a correspondence that lasted approximately 32 years, from the time of their first meeting in 1945 until Moore’s death in 1972. In 1974, Straus published Escape from Custody, a life story that includes Moore’s oral history and his letters to Straus. As Moore’s health failed, wrote Straus, he made “numerous efforts to salvage some sense of worth from his essentially wasted life.” He recognized that the hundreds of letters he wrote to Straus might have academic value. He arranged to donate his body to science. He believed that the scientific cure for alcoholism would be found in the twenty-first century. Straus has donated his personal archive of Moore’s letters to the University of Kentucky, and the Department of Behavioral Science is in the process of digitizing and cataloging them. If you’re an alcohol and drugs historian interested in working with this new collection, contact me.